Opportunity youth are young people between the ages of 16 and 24 who are neither enrolled in school nor participating in the labor market – or about one in nine members of this age group in the United States. Find out a lot more about opportunity youth here. The Forum for Community Solutions plays an integral role in the national opportunity youth movement, including functions related to coordinating funding, producing research and learning, providing technical assistance and other activities. In collaboration with other partners, we convene the national Opportunity Youth Network and the national movement has seen much progress happen over just the few short years we’ve been working together. Our largest initiative, however, is in convening a funders collaborative and national network at scale of over two-dozen place-based communities across the U.S., called the Opportunity Youth Forum. In collaboration with other partners, the Forum for Community Solutions convenes the national Opportunity Youth Network. The national movement has seen much progress happen over just the few short years we’ve been acting together. The Opportunity Youth Forum was launched in 2012 to leverage momentum of the opportunity youth movement coming out of the White House Council on Community Solutions. 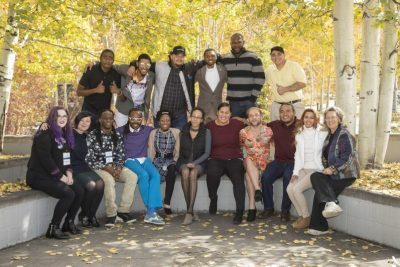 At that time, the White House Council called for innovative, place-based, collaborative solutions to reconnect the 6.7 million opportunity youth in the United States. Fast forward to today, and the Opportunity Youth Forum is a robust network that spans the United States and includes dozens of communities from diverse urban, rural and tribal places. An independent evaluation of the Opportunity Youth Forum has found that these communities have made significant progress since 2012, and many are seeing concrete improvements in local systems impacting opportunity youth. The Forum for Community Solutions’ Opportunity Youth Forum works on many topics related to the success and needs of young adults. Check out our resource pages related to employment and education, entrepreneurship, technology access, youth activism, and data and measurement. Finally, we hope you’ll get involved and consider joining the movement and our work, whether that is through joining the national Opportunity Youth Network, getting involved in a local opportunity youth collaborative near you, reading some of our latest reports, signing up for our newsletters or following us on social media.